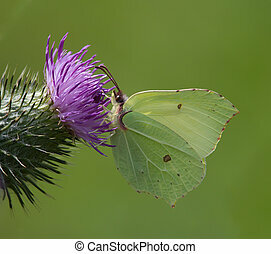 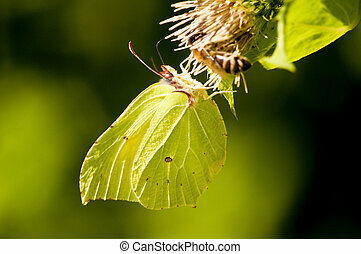 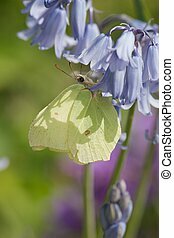 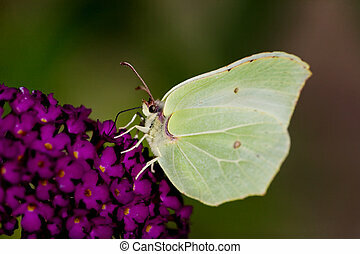 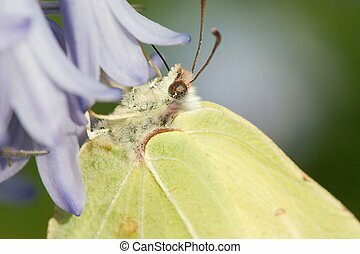 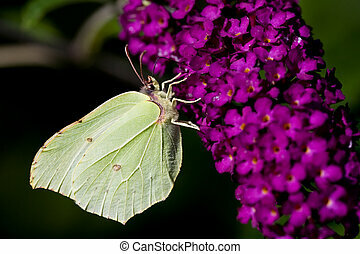 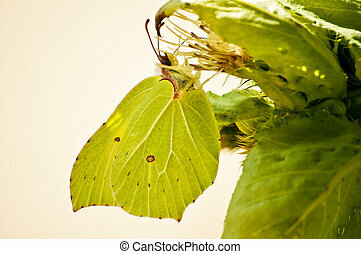 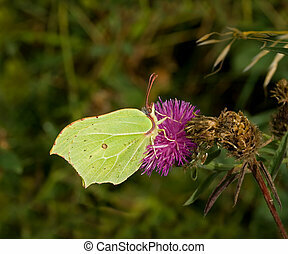 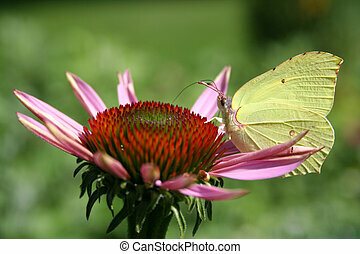 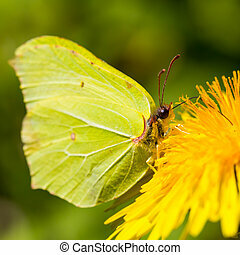 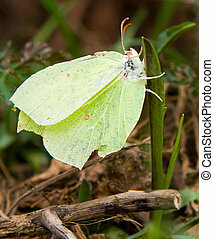 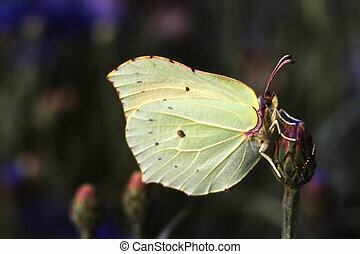 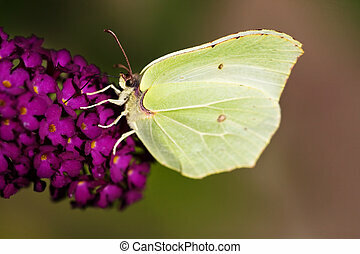 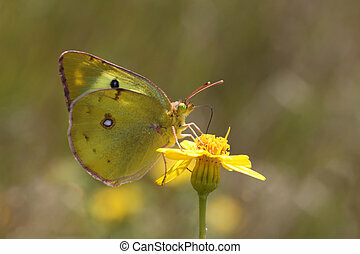 Green brimstone butterfly. 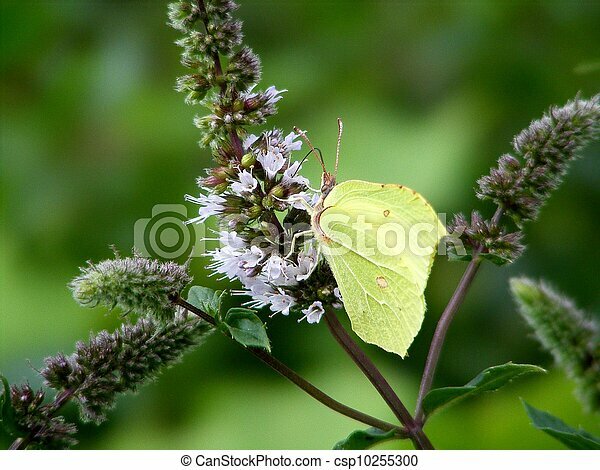 Green common brimstone butterfly (gonepteryx rhamni) on peppermint flower. 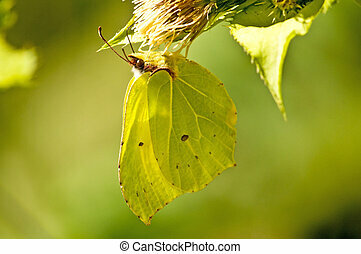 Light and shadow on a brimstone butterfly.